Plain and simple â€” vegetables are best when they are in season and locally and organically grown. Pesticides may make vegetables look perfect and keep bugs away, but it’s safer to eat produce with a few tiny holes in them than their chemically treated counterparts. Be wary of non-organic corn and potatoes, as they may have been genetically modified. Fruit can be another challenge when choosing organic produce. Organic items tend to cost more, so if you need to cut corners, buy regular varieties of fruit that you peel — such as bananas, oranges and grapefruit. Strawberries are some of the fruits most heavily treated with chemicals, so definitely buy organic. Grains such as wheat, rye, oats and barley are the seeds of grasses. If these grasses are grown in rich organic soil, the health benefits are passed along to their seeds. Quinoa, which has a naturally high resistance to pests, is a great substitute for rice. Sprouting seeds and legumes actually dramatically ups their vitamin content. If grown in high-quality soil free of chemicals and pesticides, seeds and legumes will already be rich in minerals. Whole lentils and chickpeas are great ones to sprout. Other great organic choices are cannellini and kidney beans, pumpkin and sunflower seeds and flaxseeds. Nuts are excellent sources of monounsaturated “good” fats. These “good” fats lower LDL cholesterol and triglycerides in the blood. Organic almonds are a great source of calcium, fiber and iron. Organic farmers feel strongly about the humane treatment of the animals that they raise. Organic grass-fed beef contains more conjugated linoleic acid (CLA), which is a great health benefit. By law, organic farmers cannot feed cows animal offal, which is how mad cow disease is spread, and organic farm animals cannot be irradiated or fed genetically modified organisms. For meat and farm-raised animals, the label “certified organic” means that in addition to humane treatment, they have never been given antibiotics or hormones and have not been treated with pesticides. 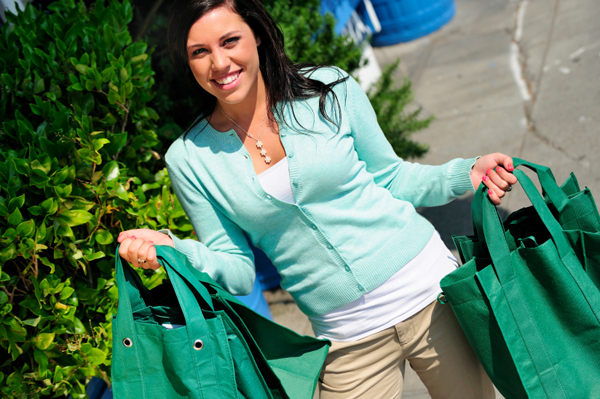 Fresh organic herbs are delightfully fragrant and add amazing flavor to all kinds of foods. Though essential oils in herbs fend off insects naturally, the non-organic kind may still be sprayed with fungicides to repel mold and mildew. If you’re looking to start your own garden, one of the best places to begin is with an herb garden! Once again, organic farmers have standards of how they raise their farm animals from which they harvest milk and eggs. When you buy organic, you can rest assured that the animals have been humanely treated. In addition to the organic label on milk, look for grass-fed labels as well. Hens that produce organic eggs are only fed organic feed in addition to a healthy diet and a humane, free-range lifestyle. Why not in USA ? Grains bring different characters to different seasons. When it’s cold, they’re mostly porridge, or beds for stews and stir-fries. But as spring turns to summer, it’s time to think about grains in salads. And these salads make for a terrific transition to the time, which will be here soon enough, when you wish you didn’t have to use the stove at all. 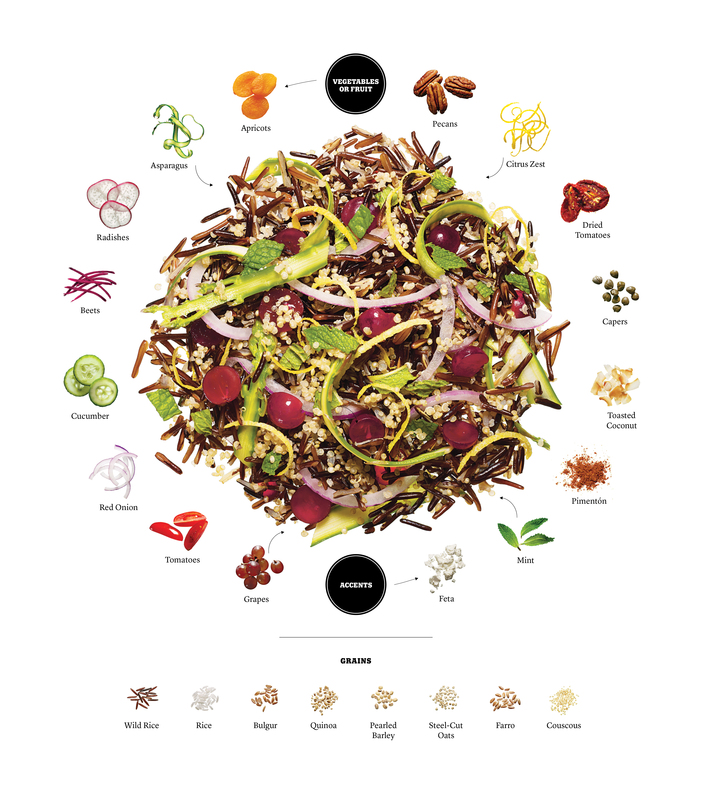 Grain salad is more of a concept than a “dish” — there are virtually infinite variations. But the current season could not be more ideal, replete with late-spring and early-summer vegetables that require only chopping, slicing or grating. All that you’ll need to cook are the grains, which neither demand very much of your attention nor heat up very much of your kitchen. I typically opt for heartier grains that retain a chewy texture when cooked, like farro, brown or wild rice, pearled barley, wheat berries, bulgur or steel-cut oats. For grains with a bit more tenderness, quinoa, couscous and white rice are all excellent options. The method I use to cook almost every grain — bulgur, couscous and wild rice are exceptions — is simple: Put 2 cups of the grain in a small to medium saucepan with a large pinch of salt and water to cover by about an inch. Bring it to a boil, then adjust the heat so that the mixture bubbles gently. Cook, stirring occasionally and adding boiling water if necessary to keep the grains covered; when they’re tender, they’re done. Depending on the grain you’ve chosen, this could take anywhere from 15 minutes (pearled barley) to an hour (wheat berries). If there is water remaining in the pot when you’re done, strain it. Remember that even after you toss the salad, the warm grains will continue to cook, so err slightly on the side of undercooking. Overcooked grains become gummy. While the grains are cooking, whisk together any vinaigrette you like in the bottom of a large bowl, then prepare whatever veggies and flavorings you’re using, and toss them all together. Leftover grains work fine here, though it’s nice to toss the salad while the grains are still warm, so that they soak in the vinaigrette and intensify the flavor of the other ingredients. Warm food is good at this alchemy, and there’s time remaining to take advantage before it gets too hot. The Assembly: Combine about 2 cups cooked grains from above with 1 cup raw vegetables, fruit or both and flavorful accents. Toss with a vinaigrette, and serve warm or at room temperature. Serves 4. The Dressing: Basic vinaigrette of 3 parts olive oil, 1 part lemon juice, plus salt and pepper.